Kids Help Phone, a national organization that provides free counselling to youth, created a mental health helpline aimed specifically at post-secondary students in Ontario. “Good2Talk” provides free, confidential advice, information and referrals for mental health, addictions and general wellness. 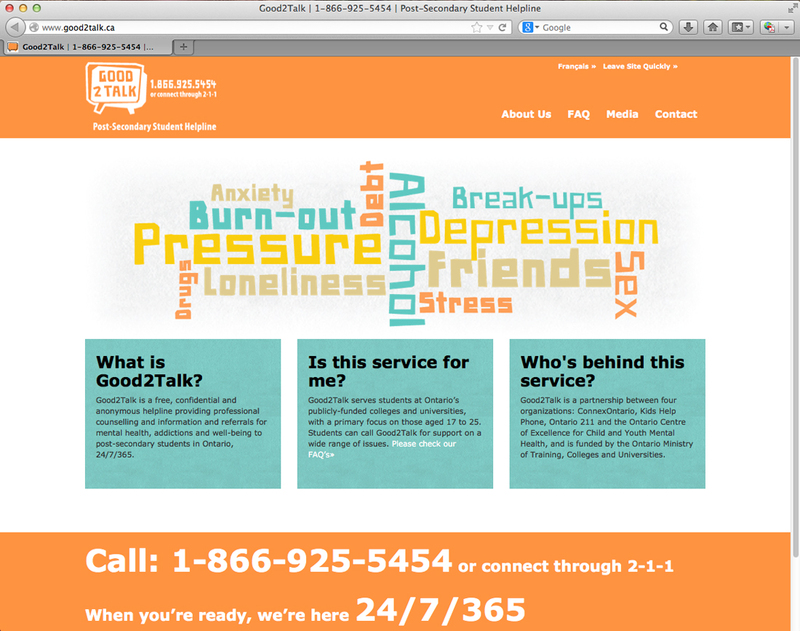 Tailor Design designed the Good2Talk.ca website.